Flagships are the physical apogee of consumerism, places where brand experiences are most defined and interactions with consumers are highly refined. This book marks the first comprehensive study of the concept of the flagship, bringing together a range of scholarly insights from the field, covering issues such as consumerism, areas of consumption and experimental marketing theory and practise. The ways in which flagship projects communicate brand values, both externally and internally, form an important part of this book, and provide new perspectives on late twentieth century commercial and cultural policy and practice. 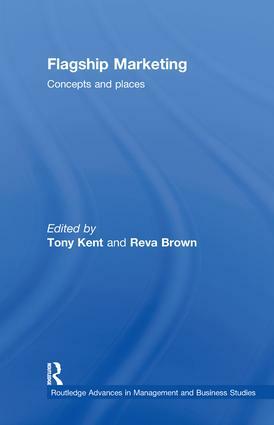 Kent and Brown offer a truly interdisciplinary approach to the concept, offering a variety of perspectives on the debates surrounding flagship function and its role as a place of consumption. Chapters focus on the development of prestigious stores, hotels and arts and cultural centres, as showcases for branded experiences and products and as demonstrations of commercial and public policy. Cases and examples include The Eden Project in the UK, automotive showrooms in Germany, hotels in Dubai and Las Vegas, and Vienna's cultural quarter. Theoretical discussion explores the tensions between costs and profitability, conspicuous consumption and the sustainability of iconic forms. The book enables readers to explore the flagship concept from different perspectives, and while a marketing approach predominates, it provides a disciplinary challenge which will open up new ways of understanding the concept.